We will see how to Customize interface which includes Menus and Toolbars. 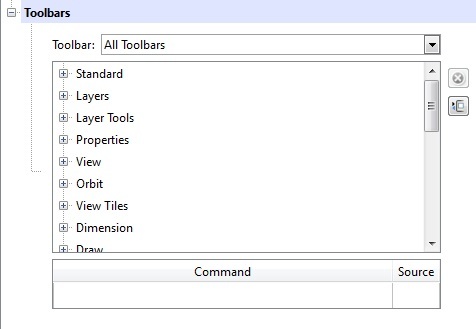 Go to Tools > ‘Customize Interface…’ here click on ‘Interface’ tab. A. Menus: To Customize Menus interface expand Menus list. New entry: You can directly include any command entry to Menu list. By default ‘Esnap Settings’ is default new entry. New Separator: You can include separator line(—-) between two group commands . Rename: To rename any item inserted in above RMB options. Delete: Delete any item if you want. 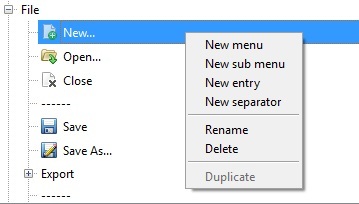 Duplicate: You can duplicate commands in menu list also. B. 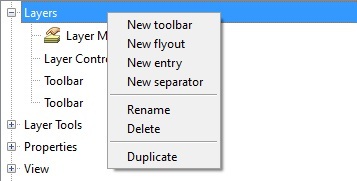 Command Explorer: You can drag and Drop any command in Menu list or Toolbar List from Command Explorer. C. Toolbars: You can customize Toolbar command same as Menu command also. Here only difference is that there is no sub menu instead there is a New Flyout. These are nested command in same toolbar.